OSA Scarborough College - The 2018 recipient of the Old Scardeburgians’ Alumni Award is Dr Mark Precious. The 2018 recipient of the Old Scardeburgians’ Alumni Award is Dr Mark Precious. Mark attended the College and its Prep School Lisvane from 1963-1974 as a full-time boarder. He excelled throughout his school years both academically and on the sports fields through hard work and determination. Entry to Oxford University to study Philosophy, Politics, & Economics followed, and he gained a first-class degree and continued with his studies to become a junior research fellow and lecturer. After 9 years at Oxford he took a change of tack joining the Foreign and Commonwealth office working hard to establish diplomatic relations in Argentina in somewhat frosty post-Falklands conflict times. 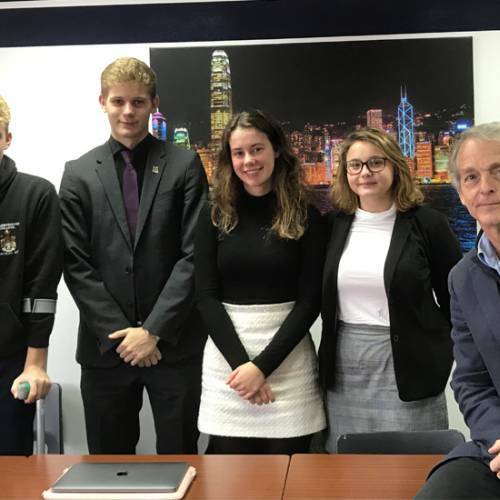 Subsequently, Mark’s diplomatic and economic skills were engaged by the International Monetary Fund in Washington DC, where he worked closely with the governments of the Dominican Republic and Mongolia to help to achieve financial stability. A somewhat natural progression was to move onto the City where he excelled as a global emerging market strategist working for the investment bank UBS and latterly as head of research for Winton Capital, an algorithmically derived hedge fund. However, Mark has not just excelled in his working life. At the College he was an extremely talented hockey player and cricketer. He was selected to be a part of the U18 England Schools’ Cricket team. Focusing on Hockey at Oxford he gained 7 blues, moving on to play for Hounslow. In 1984 he was a member of Great Britain squad for the Los Angeles Olympics; luckily Great Britain had only qualified because the Soviet Union had boycotted the games. Unexpectedly GB won the bronze medal beating Australia 3-2 and Mark was the only player to play in all seven of GBs matches. Having been posted abroad he had to bow out of his international career but always kept his hockey up to the highest possible level. He has played and captained many masters’ hockey teams to world championship glory and is at present captain of the over 60 men’s masters. As part of being the recipient of the award, we ask our Alumni Award winners to come in and spend some time with the current students, to educate and inspire them. Dr Precious spoke to the Sixth Form in their assembly about his career, his experiences and his lessons in life to date. Concentrating on working hard, being passionate about your work, sports and hobbies and taking the opportunities that life presents you. 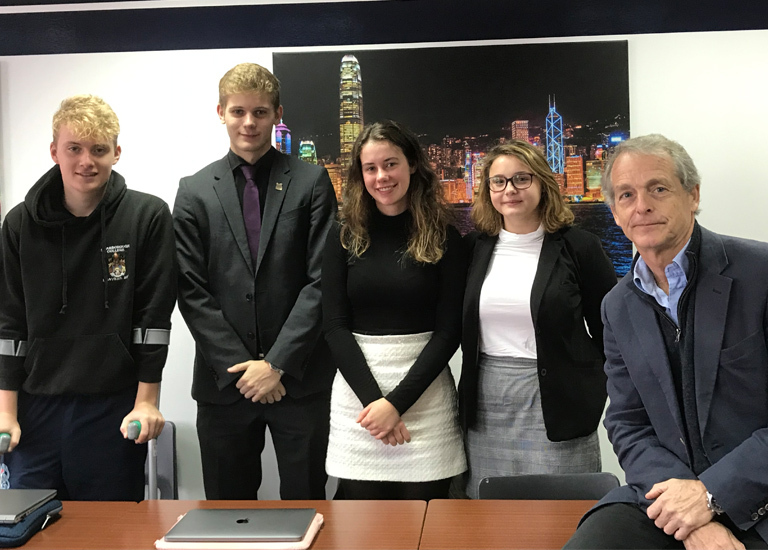 He later spent some time with the Sixth Form economists concentrating more on the workings and his involvement at the International Monetary Fund (IMF) and life within the Investment Banking sector in the City.